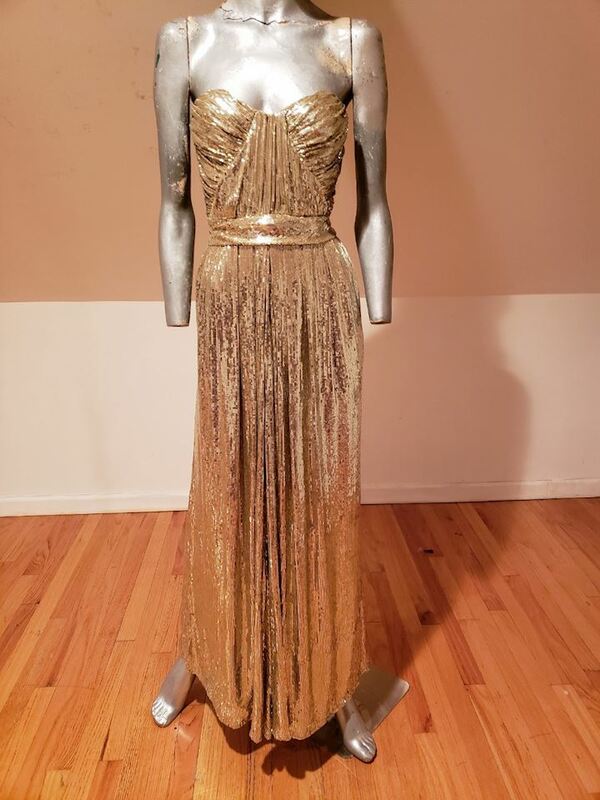 All special tiny gold loop sequins on a silk crepe chiffon.Also has a satin liner. Very fluid like liquid gold. Shirred draped dtails. Truly a work of Wearable Art.